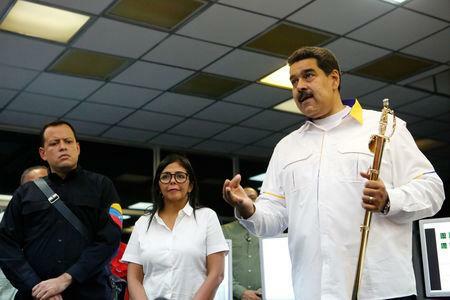 CARACAS (Reuters) - Venezuelan President Nicolas Maduro is planning a "deep restructuring" of his government, Vice President Delcy Rodriguez said on Sunday, as the country recovers from a prolonged blackout amid a power struggle with the opposition. 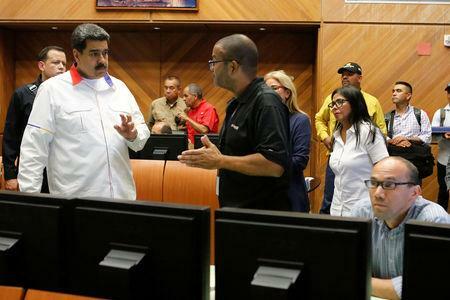 "President @NicolasMaduro has asked the entire executive Cabinet to put their roles up for review in a deep restructuring of the methods and functions of the Bolivarian government, to protect the fatherland of Bolivar and Chavez from any threat," Rodriguez wrote on Twitter, referring to independence leader Simon Bolivar and former President Hugo Chavez. The possible reshuffling comes on the heels of a nearly weeklong blackout that paralyzed the OPEC nation, which had already been experiencing a hyperinflationary economic collapse, shortages of food and medicine and the emigration of millions of citizens. Maduro has blamed the blackout on a cyber attack perpetrated by the United States and sabotage by the domestic opposition, but local electrical engineers told Reuters it was the result of years of underinvestment and lack of maintenance of the country's power plants and electricity grid. He is facing a challenge to his presidency from Juan Guaido, head of the opposition-controlled National Assembly who invoked the constitution in January to assume an interim presidency, arguing that Maduro's May 2018 re-election was illegitimate. Most Western countries have recognized Guaido as the country's rightful leader. Maduro has repeatedly changed Cabinet members since taking office in 2013, with members of the military rising to posts heading the oil, interior and electricity ministries. 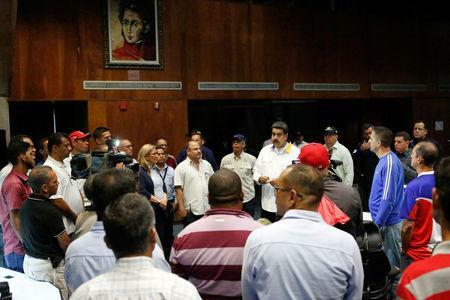 In a visit to electricity workers in southern Bolivar state on Saturday, Maduro pledged a restructuring of state power company Corpoelec and promised to create a unit in the armed forces focussed on protecting key infrastructure from cyber attacks.